I’ve committed Better Search v1.1 to the repository. It’s been rare that I’ve put in a major release just a few days after a fresh release, but I’ve received quite a few requests for features and hence the requirement has been fulfilled in this version. So, what’s new with Better Search? 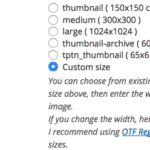 The biggest change with Better Search is the support for a template file. You can create a file called better-search-template.php with the necessary code and dump it in the theme folder. Using the template file ensures that the results blend into your site. 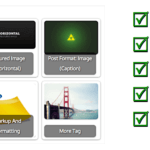 Better Search download contains a sample file that I have tested with the default WordPress theme. Read more about the template tags supported by the plugin. The second big change in the plugin is complete support for localization. As of today the plugin comes bundled with Russian and Chinese Taiwanese languages. I’m looking for translators, so if you are interested in translating this please do contact me. You can download the plugin and use the bundled .pot / .po file to translate the same and email it to me AT ajaydsouza DOT com. Consider this a request for all of my plugins, as and when I localize them. There are three minor updates as well. The first one is the disabling of display of drafts in the search results list. 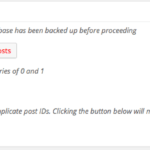 The Plugin will also take care of the 404 error generated by WordPress when a user navigates to /search/ on your site. Additionally, you can turn off display of pages in the search results. I’ve turned this on by default, because it does make sense to include searching for pages on your site for particular search terms. e.g. out here I have pages dedicated to all my plugins and my theme. 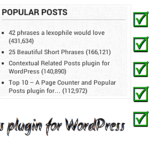 The plugin as usual is available from download / upgrade right from within WP-Admin. You can also pick it up from the dedicated plugin page.